CHARLOTTE— UMBC stood tall as true underdogs and shocked the world of March Madness. Never before has a No. 16-seed put a top-ranked team on the canvas. That was before tonight when the general populous found out what the Retrievers from Baltimore were made of by becoming the first ever to defeat the No. 1 Virginia Cavaliers by a final score of 74-54. The Retrievers’ first ever win in the NCAA tournament was a game that wasn’t predicted to be close. Both teams were tied at 21 all going into halftime and for Vegas standards this was too close for comfort, but every dog has their day. 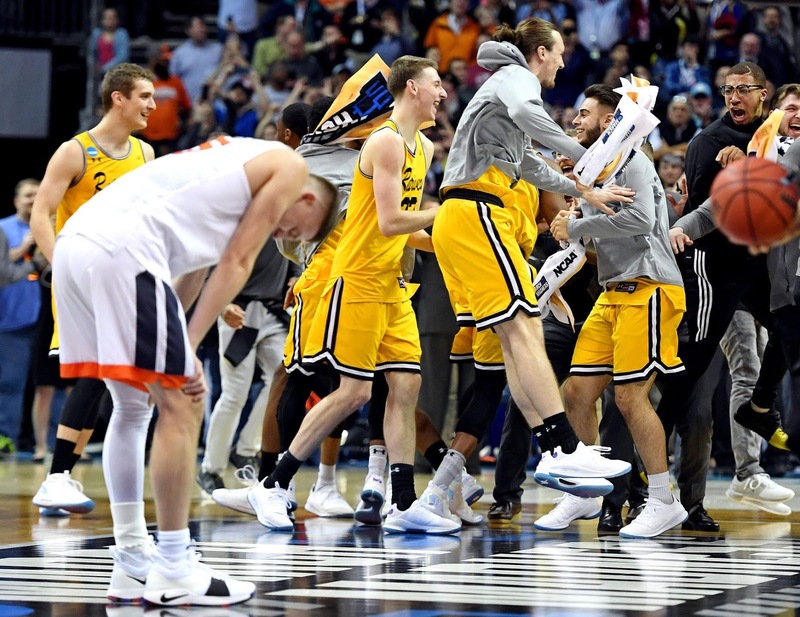 The Retrievers came into the biggest game of their NCAA Tournament lives as 20.5 points underdogs and didn’t disappoint. A Cinderella storybook setting seemed too good be true. The previous 135 teams couldn’t fathom what it felt like to pull off the biggest upset in sports history. UMBC took the game in an even pace by coming out of the locker room with a defensive tone. By the 16:23 mark in the second half, Virginia had fallen down by 11 points, 36-24, with a 3-pointer from UMBC’s Joe Sherburne. And from that point on something inside Spectrum Center was electric. That’s when the crowd of restless, faithful Retrievers fans along with curious onlookers were in disbelieve. The once dominant Cavaliers were on the ropes. What started out joke became more serious as time began to tick on history. UMBC never let up or felt the momentum slip away from them thanks to Lyles. The instant tournament legend scored 20 of his 28 points after the 15:52 mark, taking the game over in dramatic fashion for his 16th 20-point game of the season. The 53 points UMBC put up in the second half alone against the mammoth team from Charlottesville was one point less than the Cavaliers scored in the entire 40 minutes of play. Also marking the first time UVA surrendered more than 70 to an opponent all season. Virginia falls to an overall record of 31-3 to end the season and 12-6 all-time as a top-ranked seed. No. 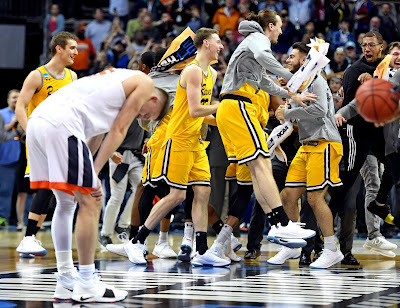 16-seed UMBC will look to make history again facing No. 9-seed Kansas State on Sunday at with tipoff at 7:45 pm ET.